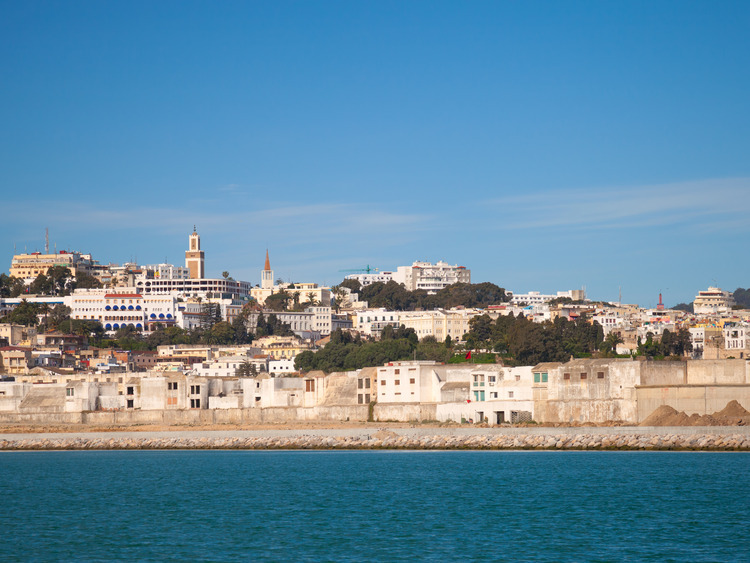 A tour of Tangiers, a city with an ancient history characterized by a skyline that is punctuated by Christian spires and Muslim minarets. As we cross the Strait of Gibraltar, one of the most important waterways in the world, we can see the port of Tangiers on the northern coast of Africa. The coloured walls of the old city are the first element to emerge against a backdrop of low hills. As we get close enough to make out the houses of the medina and the new city beyond the port we recognise "The White City". Our excursion starts with a panoramic tour along the city beach and through the main streets of the new city. Then we reach Cape Spartel, a promontory located at the northernmost point of the African continent. When we return to the heart of the city we visit the Kasbah, with it squares, the wide circular area of the Grand Socco and the fruit and vegetable market. Our excursion continues with a visit to the*medina*, where we wander through the narrow alleyways lined with arts and crafts shops to re-emerge at the entrance of port of the city from where we return to the ship.